What sort of lunch will you eat? Gobble up grapes by the bunch with your feet? One who wears a tall, striped hat! This Dr. Seuss lunch tote has real appeal! 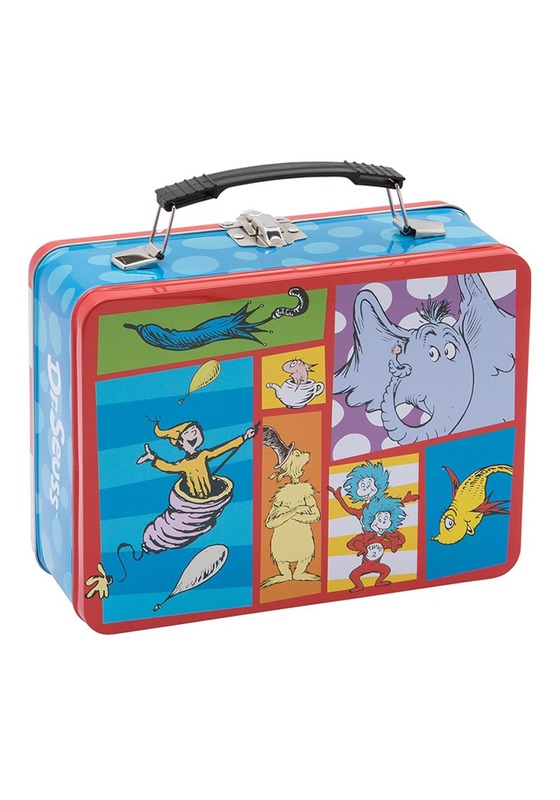 This Dr. Seuss Cat in the Hat Tin Tote is an officially licensed lunch box based on your favorite storybook characters. It's made entirely out of tin and features a plastic carrying handle on top. It also features a metal clasp on top to secure your food inside! The exterior of the box has various images of Dr. Suess storybook characters, including the Cat in the Hat, Thing 1 and Thing 2, Horton, and more. Make sure to clean with a damp cloth to keep it looking brand new! 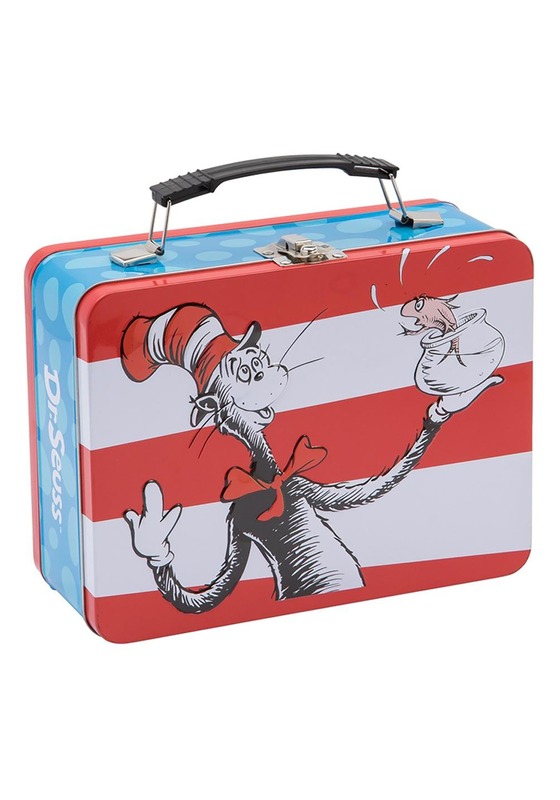 If you're looking for a new lunch box that expresses your love of reading, then you definitely want this Cat in the Hat Lunch Box!